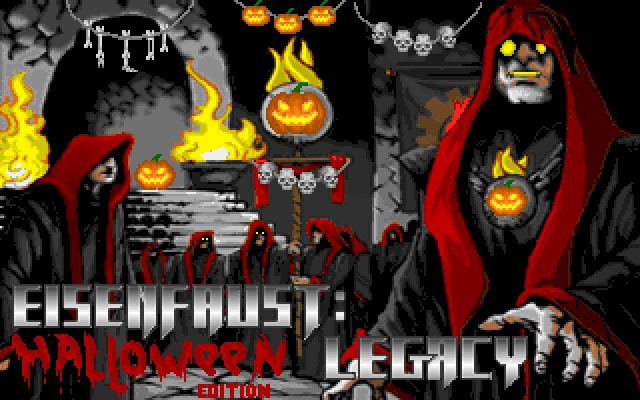 It's time of pumpkins and candy, a perfect occasion to play new, special Legacy level pack made just for Halloween! Have fun! With enough support and feedbacks, we might consider more similar releases. Yes, I can admit levels were made to be quite challenging, and a bit puzzly as well. So far rite now I'have reached level 4. Man, how challenging! The first one sure need to act fast! I definitely like the way the levels were designed. Brilliant! Instant action plus a bit of tactics. I think newcomers should play the regular version instead of jumping into this Halloween edition. I really hope there will be more mission pack like this in the future. I really love how you design the maps with legacy engine~~ For me, it is a perfect modern Wolf 3d! Congrats again for such a brilliant work! "I really hope there will be more mission pack like this in the future." Thanks :) We'll sure consider. Man where did you get the War March remixed version?? BTW where did you get all those fantastic sound tracks?? ?